Directions Getting to Las Palomas Resort Once in Puerto Peñasco. 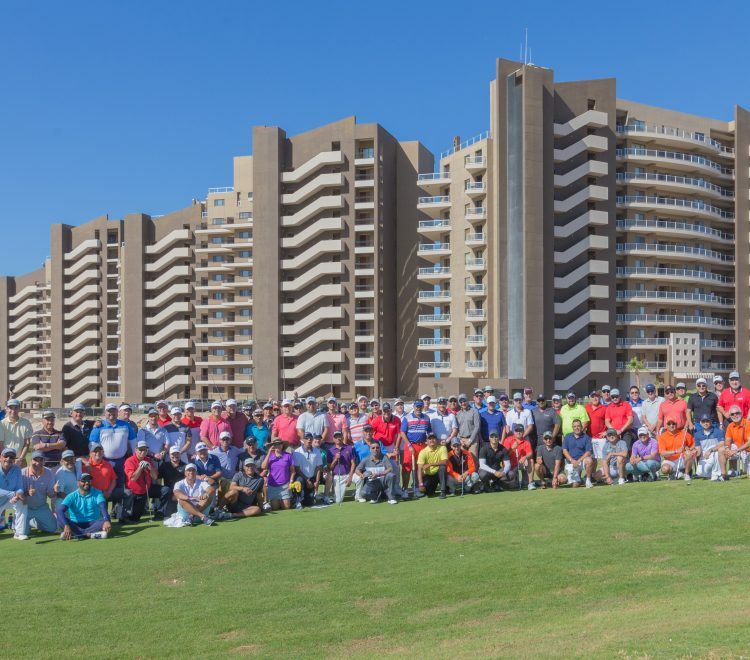 Driving Directions Las Palomas is located on Sandy Beach in Puerto Peñasco As you begin to enter Puerto Penasco, turn right at the third traffic light onto “Calle 26” or “No Reeleccion.” Continue straight on this street through two traffic lights. Las Palomas Sea Side Community’s property begins at the traffic circle. A short distance further the street will curve to the right and at the next traffic circle take the left exit which lead to the security gate of Las Palomas. You may park temporarily near the entrance to the lobby to register. From Arizona Take AZ-85. (80.2 miles to Lukeville, Az) Cross the border. As you begin to enter Puerto Peñasco, turn right at the third traffic light onto the street named “Calle 26” or “No Reeleccion.” Continue straight on this street and after crossing the railroad tracks, the Las Palomas Sea Side Community’s property begins where you will exit to the left around the traffic circle. A short distance further, the street will curve to the right. Continue straight on this street along the sand dunes to a traffic circle where exiting to the left leads to the security gate of the main entrance of Las Palomas Resort. 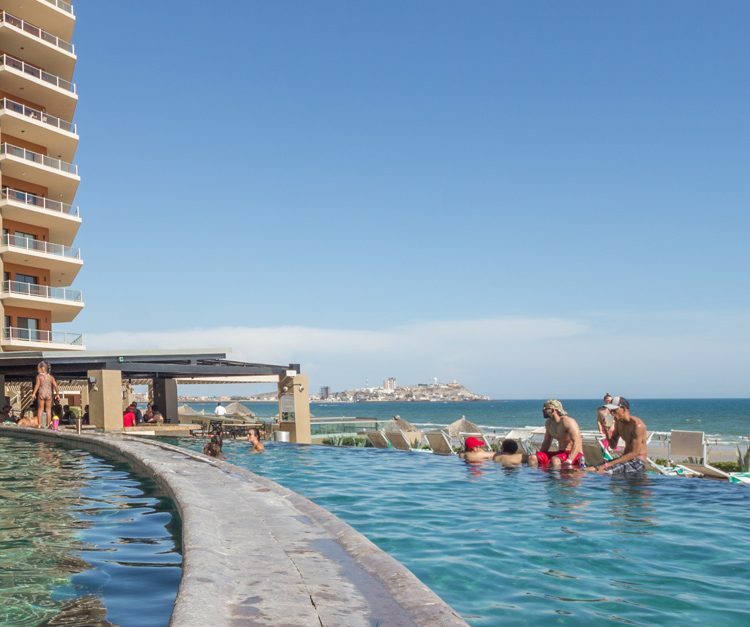 Luxury Resort in Puerto Peñasco, Mexico.Situated in the exclusive Sandy Beach resort area of Puerto Peñasco (Rocky Point), Sonora, Mexico, Las Palomas Beach & Golf Resort is an enchanting vacation destination set against the majestic splendor of the Sea of Cortez and Sonoran Desert landscape. A seaside paradise of seductive beauty, the jewel of the Sea offers a visual paradox of old and new, a myriad of Mexican culture and a vibrant resort lifestyle. A 4-hour drive from Phoenix and Tucson, Arizona, and 677 miles from San Diego, California, Las Palomas is the favorite vacation getaway for North American travelers. Puerto Peñasco – Mexico’s Perfect Paradise.Located 63 miles from the Arizona/Sonora border on the northeastern shore of the Sea of Cortez, Las Palomas Resort is a seaside oasis surrounded by Puerto Peñasco’s pristine beaches, natural wonders, beautiful bays and inlets, boat marinas, championship golf courses, colorful marketplaces, ocean front restaurants and lively clubs. Las Palomas Resort sits a few miles from El Malecón/Old Port, the city center, Cet Mar Aquarium, Las Conchas, Bird Island and miles of exquisite sandy beaches, rocky reefs and quaint fishing ports. With its casual lifestyle and spectacular scenery, this Mexican beachfront resort delivers the sea, sun, and surf! From sunrise to sunset, you can play in a world where the golden sun and blue water join with tranquility. Enjoy sunset walks on the beautiful beaches, where gentle waves invite you to swim, surf, sailing and diving. Fly a kite in the calm ocean breezes and explore the beautiful beaches. Watch the dolphins and jump across the Sea of Cortez. Puerto Peñasco Beaches & Bays.Swim, fish, snorkel sail, scuba dive, surf, parasail, kite surf, jet ski, and go whale watching on miles of blissful beach. With its warm, clear water and gentle tides, the Sea at Rocky Point is an awesome destination for swimming, diving and snorkeling. Ride the sand dunes on an ATV or cruise to Choya Bay to enjoy the sun sink into the deep blue sea. Take your family to the Cet Mar Aquarium in Las Conchas, where you can observe and touch diverse marine life. Rocky Point Culture & Nightlife.Savor a magnificent spectrum of exotic foods and culture, and let your spirit soar. Enjoy a cocktail at a seaside bar, dine on a Mexican and French cuisine at the restaurants along the ocean and indulge in the festive nightlife. Drive up to the top of Rocky Point to watch panoramic sunsets. Experience a lively marketplace at the Old Port – El Mirador area, where you can find Mexican arts and fresh seafood.